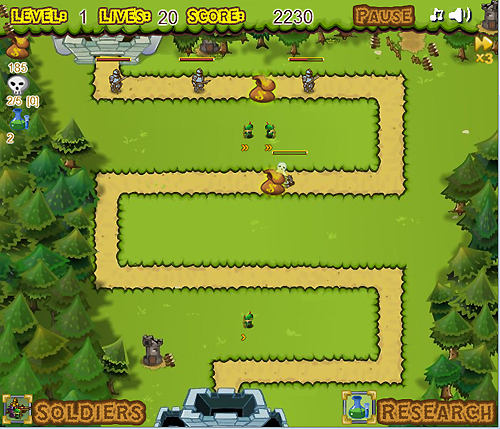 Description Defend your castle against invaders and earn money and research new soldiers. Place soldiers next to the road to defend against invaders. Pick up the money from dead soldiers to get income and research new soldiers.